List of Requirements: Filipinos Visiting Canada - Gateway to Canada | Canada Immigration Consultancy! 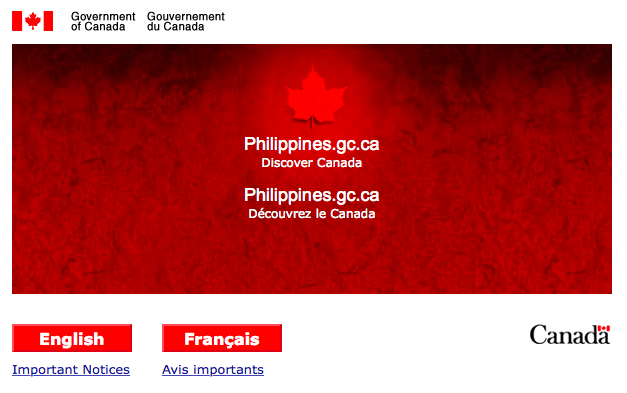 Filipinos visiting Canada is required to apply for Temporary Resident Visa to enter Canada. It appears that my previous entry about Canadian Tourist Visa Application is not enough for most of those who stumble upon this blog. In that blog entry, I have provided a link to the application forms and checklist of documents and yet I keep on receiving emails asking for the list of requirements. If you plan to do it yourself, read this first: Visiting Canada | Canadian Tourist Visa Application.